Set to launch its fifth year as the game-day home for Ivy League live events, the newly-branded Ivy League Network (ILN) will welcome a number of broadcast and user-experience enhancements, including broadcast graphics, in the 2017-18 academic year. Featuring more than 1,100 live events and thousands of hours of on-demand content, ILN is available online at www.IvyLeagueNetwork.com and www.IvyLeague.tv. In addition to the platform adjustments and production quality enhancements, the League will showcase 25 ILN productions on ESPN3 this fall, complementing a League-record 22-game national broadcast package for Ivy League football. In early September, the Network will be available on an app for mobile devices. The app will be available for download at both the App Store and Google Play. The ILN app will enable fans to personalize their ILN experience by choosing their favorite team, and will remind subscribers about upcoming events and new on-demand content through customizable push notifications. Over the summer, the Ivy League partnered with award-winning software company AJT Systems to enhance the production quality of ILN broadcast graphics for many events. “AJT Systems is thrilled to be partnering with the Ivy League as they take their network to a new level for their fans,” said Ron Linares, President of AJT Systems. In 2017-18, ILN viewers can expect high-quality, custom animations, real-time statistical integration as well as consistent and clean look and feel to each ILN broadcast. For the past three years, the ILN has produced over 1,100 games annually and featured hours of on-demand content available to Ivy League fans. The League is proud to distribute a variety of broadcasts for over 30 of its broad-based offerings. In mid-October, the League will launch a redesign to the current desktop, mobile and tablet site. The redesign of the homepage of IvyLeagueNetwork.com will better integrate the experience of viewers across all devices, including personalized content, programming alerts, scores and upcoming events. For subscription package information and a list of available fall events, visit IvyLeagueNetwork.com or IvyLeague.tv. Founded in 1997, AJT Systems develops software and turnkey systems for live-to-air broadcast graphics rendering and video servers targeted to the Broadcast industry. Our products are in use 24/7/365 with domestic and international broadcasters, delivering compelling, high-quality full-motion graphics in mission critical applications. AJT System’s offerings include the Camino real-time render and template editing system and turnkey Camino-based graphics systems in multiple form factors- including our award winning LiveBook GFX™ sports graphics solution. 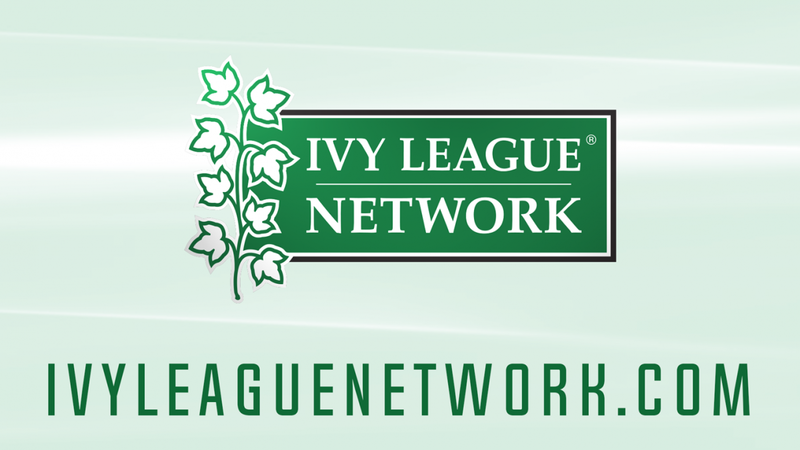 The Ivy League Network (ILN) returns for a fifth season as the home for all live streaming and on-demand video content for each of the conference’s eight institutions. Broadcast in full HD and featuring multiple camera angles, replay, enhanced broadcast graphics, and play-by-play and color commentary, the ILN provides fans with unprecedented access to the Ancient Eight. The Ivy League is the most diverse intercollegiate conference in the country with more than 8,000 student-athletes competing each year. Sponsoring conference championships in 33 men’s and women’s sports and averaging more than 35 varsity teams at each school, the Ivy League provides more intercollegiate athletic opportunities per school than any other conference in the country. All eight Ivy schools are among the top 20 of NCAA Division I schools in number of sports offered for both men and women and enjoy regular competitive success at the highest championship levels of NCAA Division I athletics. The League’s schools — Brown, Columbia, Cornell, Dartmouth, Harvard, Penn, Princeton and Yale — share a rich history of success and influence in college athletics, dating back to the origins of intercollegiate competition. Ivy League institutions have won 287 team national championships and 579 individual national championships since intercollegiate competition began. The Ivy League conference was formally established in 1954, based on the mutual agreement that intercollegiate athletics competition should be “kept in harmony with the essential educational purposes of the institution.” For more information, please visit IvyLeague.com.